Created in 1965 in Lyon, CQFD is a French company operating on the DIY market. Our core business is to design, to manufacture and to sell innovative solutions and concepts to arrange, renovate and decorate homes. 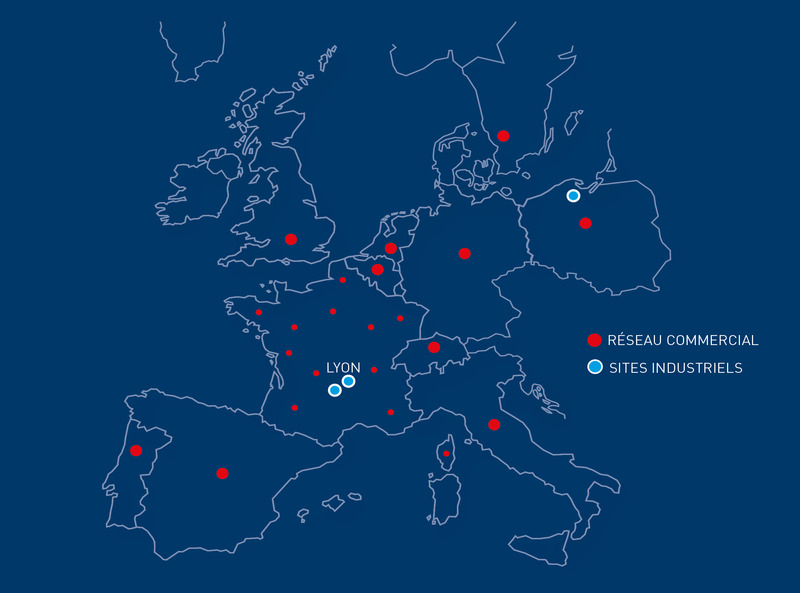 80 employees on the site of Saint Laurent d’Agny (Lyon, France), and more than 250 employees in the entire organization (commercial, marketing, development, manufacturing, logistics) ensure the production and the commercialization of our products. Find out more about CQFD ! Dedicated professional teams are in charge of our European commercial coverage. Our development strategy is based on the design and the production of new ranges of products, but also on external growth. Major player inthe hardware sector, CQFD has acquired in 2017 the company Louis MOULIN in order to expand its business to the gardening sector. 100% of our industrial waste is recycled. Concerns about the health of our customers, partners, contributors and employees and despite a drying inconvenience process which greatly reduces productivity ;CQFD has invested in finding an aqueous varnish in substitution of solvents or PVC films that are currently being used by most companies. Our operators no longer need to wear masks (odourless product), they now only need to use gloves and aprons. They do not need to wash their hands with detergents anymore just with soap and water. Finally this alternative practice is respectful of the environment and requires no packaging unlike most of our competitors. In the same process of sustainable environment and a survey of the arduousness of our work practice our entire fleet is now electric and self-supporting. A survey had shown that each order picker moving their trolley was covering a distance of 7 to 10 kilometers daily. Finally our factory switched to 50% LED lighting which will be converted to 100% in the short term future.